Mix dry ingredients in a bowl and place to one side. Beat the butter and sugar together until smooth and creamy. Add the egg and milk to the mix and stir until combined. Slowly mix in the dry ingredients until they form a stiff dough. Divide the mixture into three and add food colouring to two of the sections, mix the dough until the colour is fully combined. Place the dough in the fridge for half an hour. Roll out the plain dough and use a large cutter to cut out your biscuits. 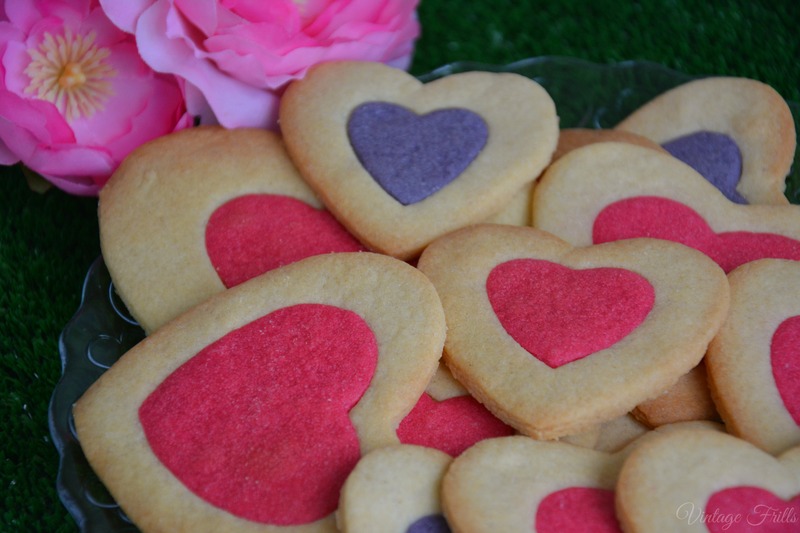 Use a smaller cutter to make a heart shaped hole in the middle of each biscuit. 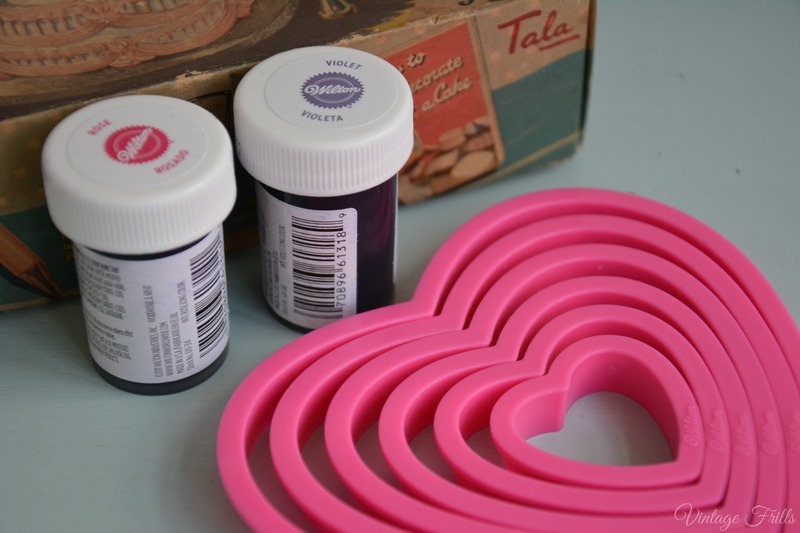 Roll out your coloured dough and cut out some hearts using the smaller cutter. 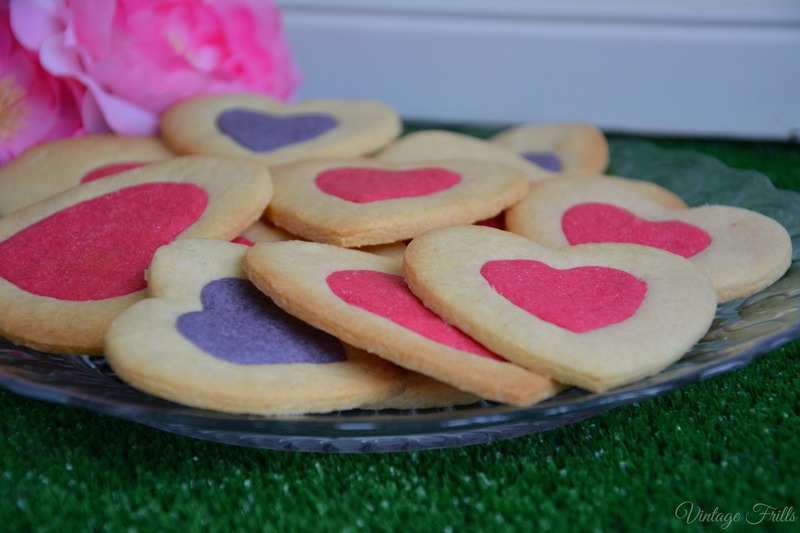 Place the coloured hearts in the middle of the larger cookie and gently press the pieces together. Bake in the oven for 8 minutes. 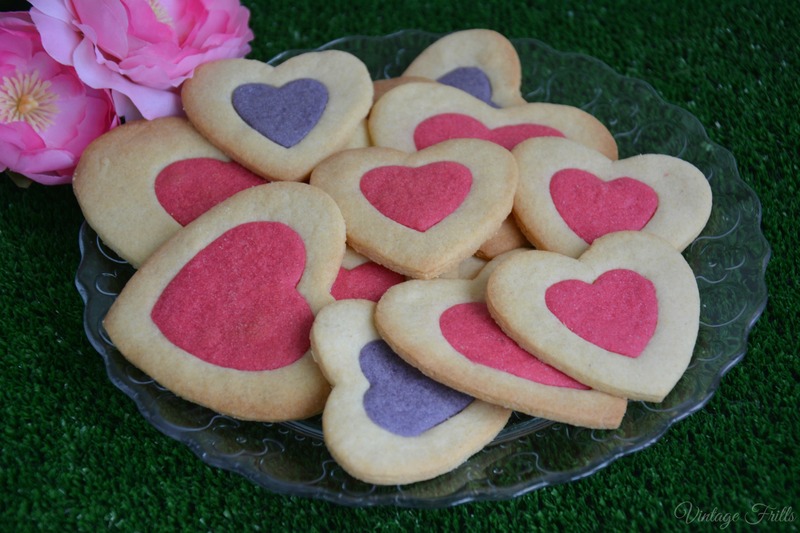 Do not over cook, even if the biscuit feel soft they will harden as they cool. Place on a wire rack to cool. Aww, these are so splendidly cute and cheerful. 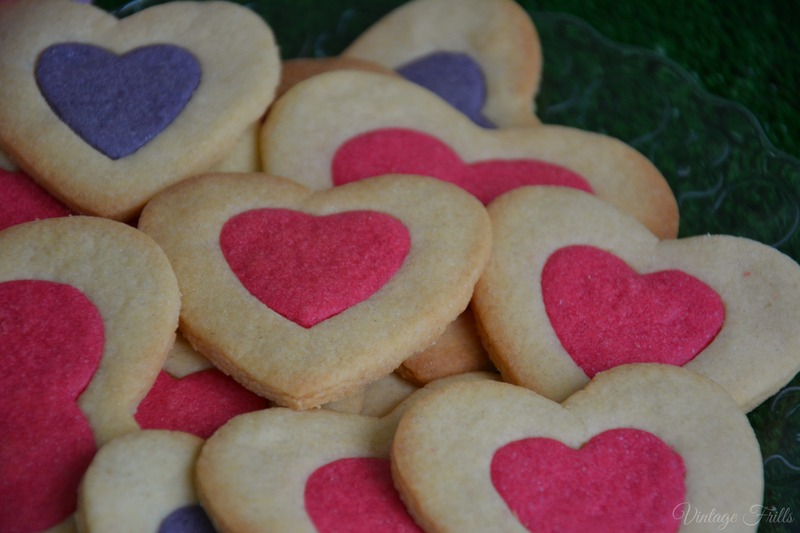 Love them to bits – and sooo want some cookies as a midnight (err, 2:15 am :)) snack now!